Submitted by dave on February 9, 2007 - 6:23am. Larger. 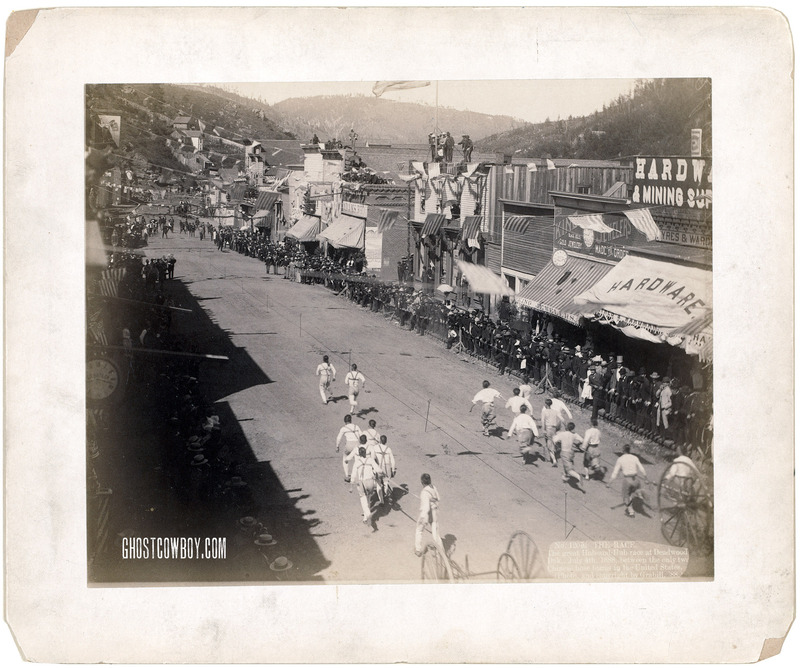 "The great Hub-and-Hub race at Deadwood, Dak., July 4, 1888, between the only two Chinese hose teams in the United States. Two small teams of Chinese runners pulling a hose and wagon, racing down main street; large crowds of spectators line both sides of street." Along with ladder-climbing competitions, hub-and-hub races were a staple of firemen's tournaments in the 19th century, with two or more wheeled hose reels pulled side-by-side -- "hub-and-hub," as opposed to the equine neck-and-neck. Buy fine-art print.